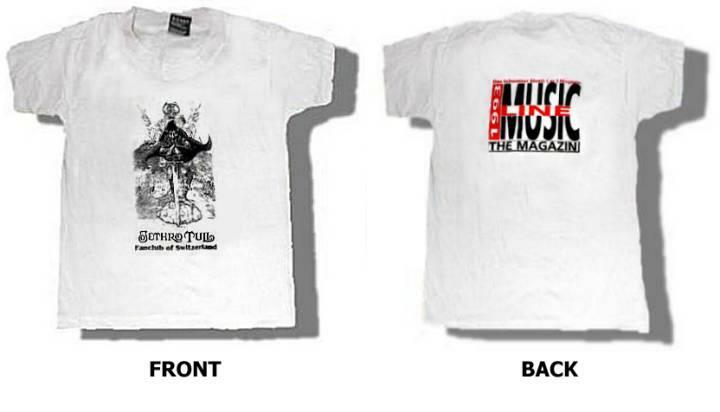 Please contact me webmaster@electrocutas.co.uk After All ....IT'S FOR YOU !!! 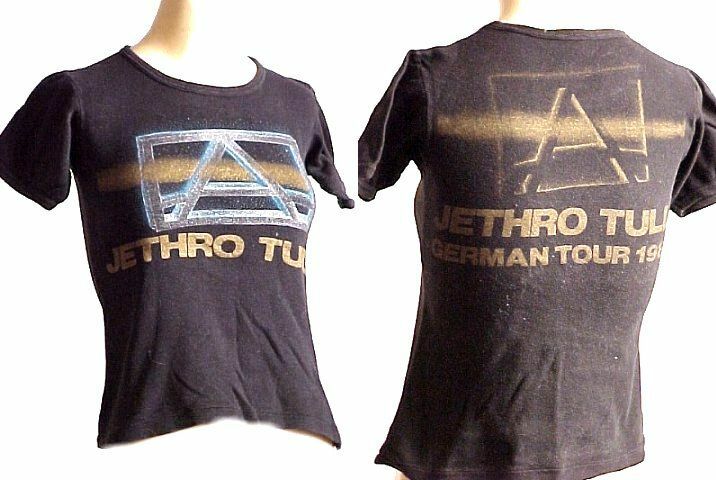 1981 1981 A TOUR GERMAN T Shirt. 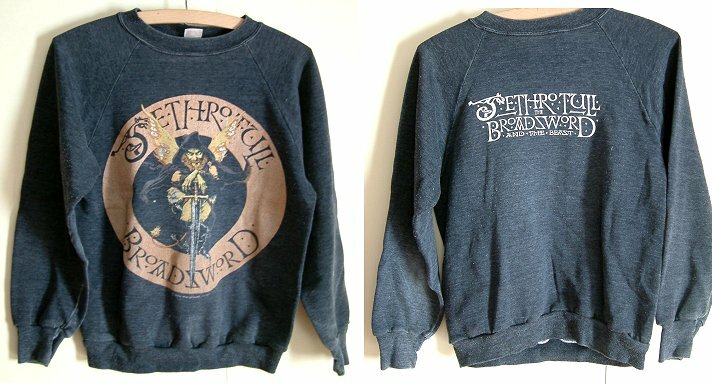 1982 U.K. BROADSWORD long sleeve Sweat shirt. 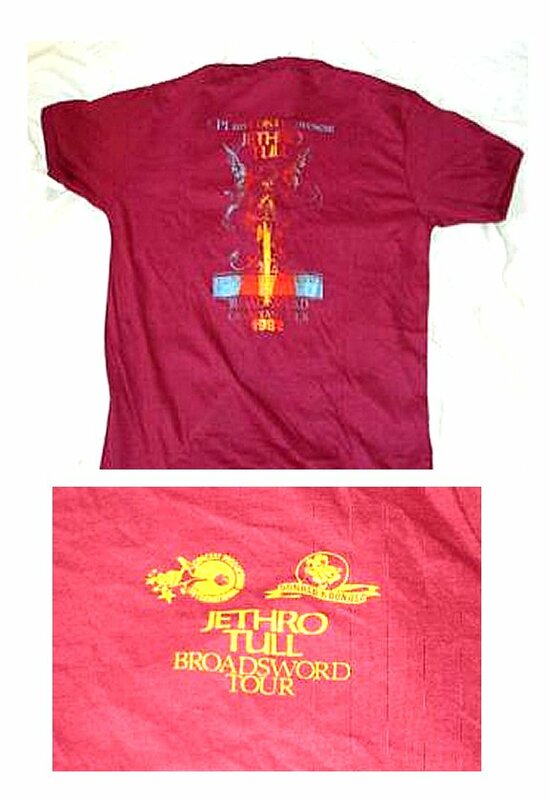 1982 U.S.A. BROADSWORD TOUR - Crew shirt 1. 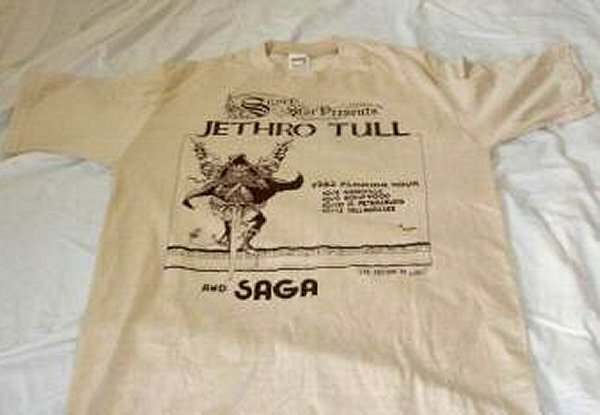 1982 U.S.A. BROADSWORD TOUR - Crew shirt 2. 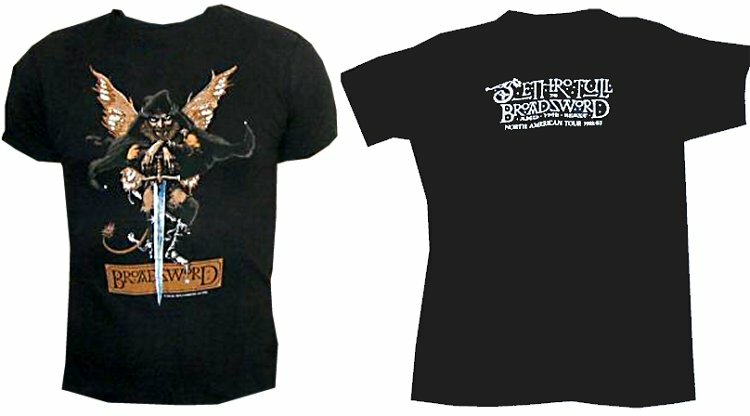 1982 U.S.A. BROADSWORD Short sleeve Black tour shirt. 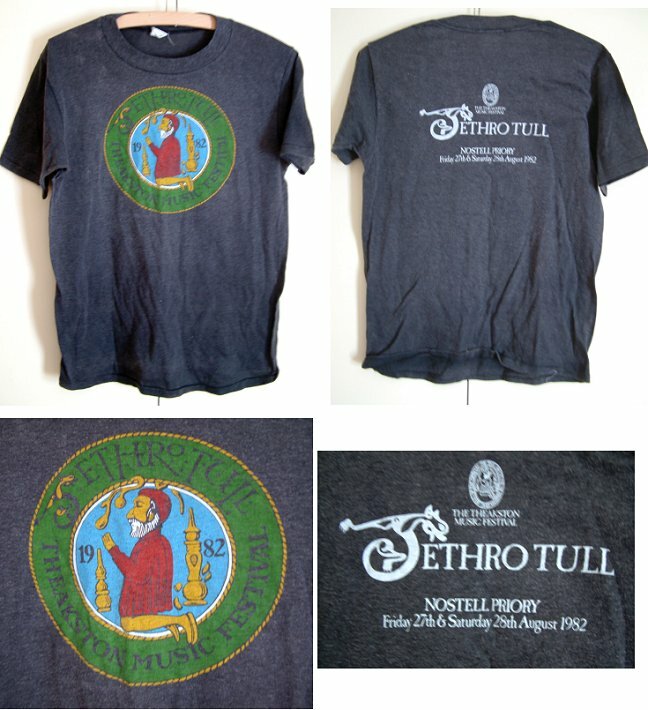 1982 U.K. NOSTELL PRIORY - THEAKSTONS FESTIVAL SHIRT. 1984 U.S.A. 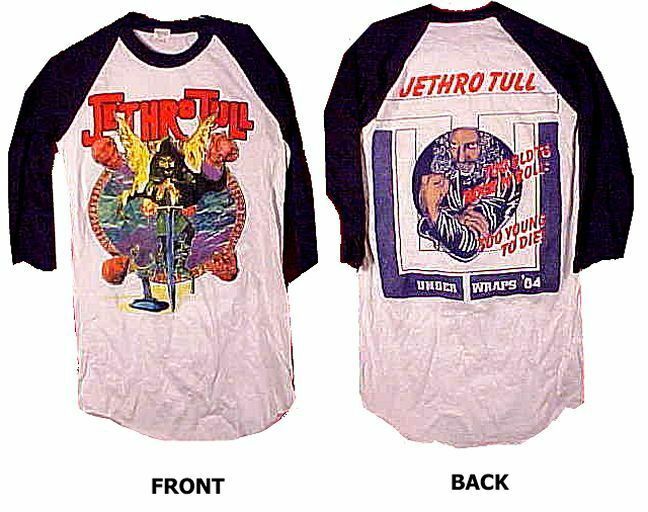 UNDER WRAPS TOUR long sleeve tour shirt. 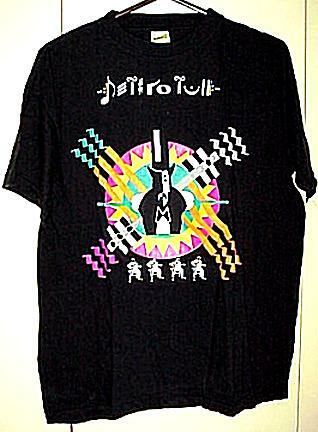 1987 "NOT QUITE THE WORLD - MORE THE HERE & THERE TOUR" T.shirt. 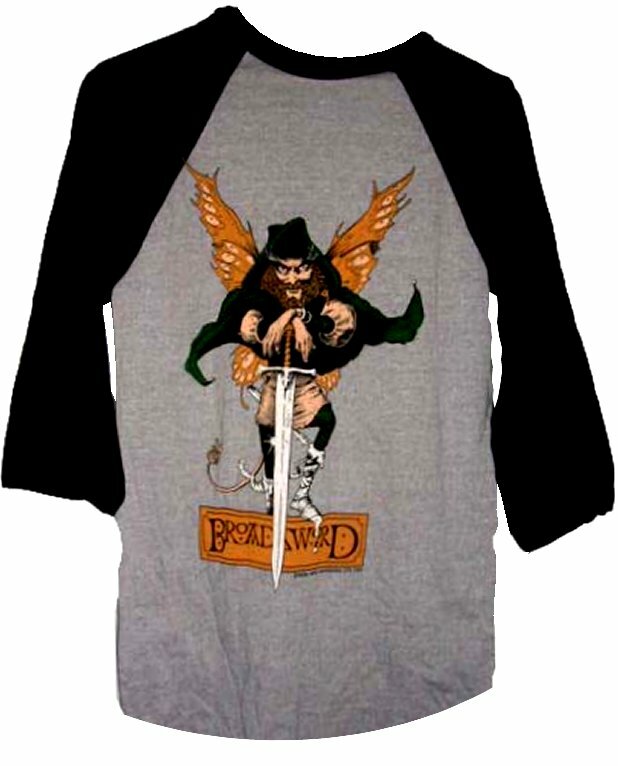 1987 U.S.A. Long sleeved Broadsword logo T.shirt. 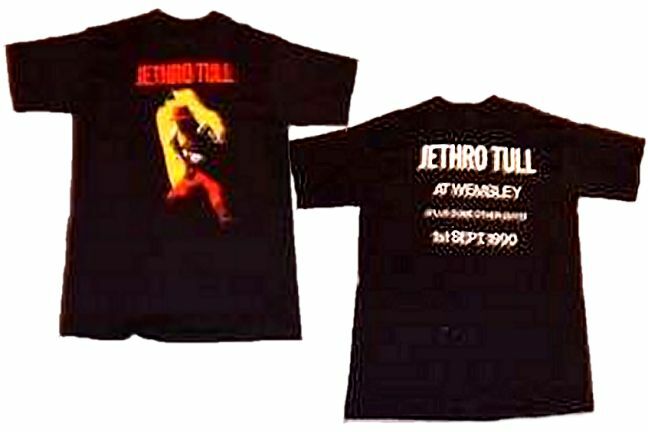 1990 U.K. Wembley Arena Sept '90 show shirt. 1991 EUROPE. CATFISH RISING TOUR (Euro dates from October on rear). 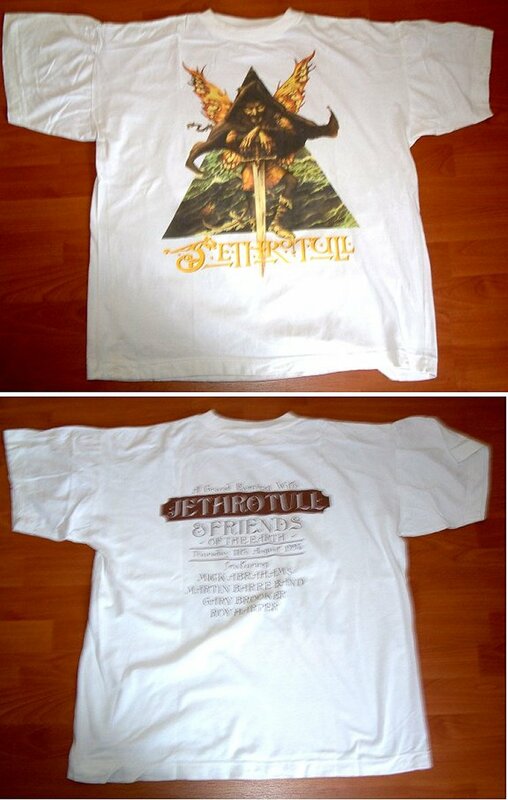 1991 EUROPE.- Broadsword front logo - Catfish Tour (Euro dates from October on rear). 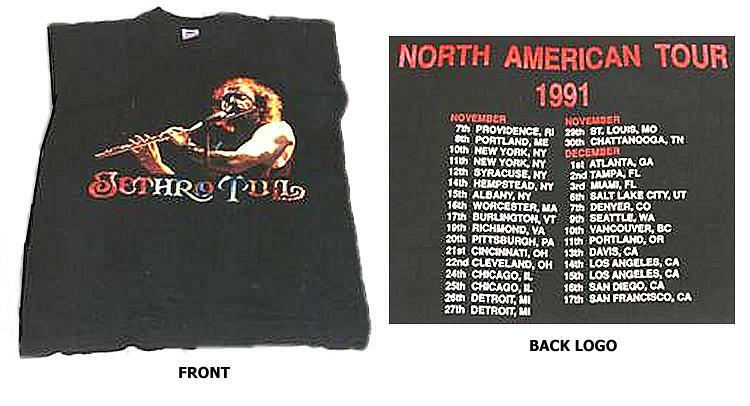 1991 U.S.A. 1991 TOUR with dates on back. 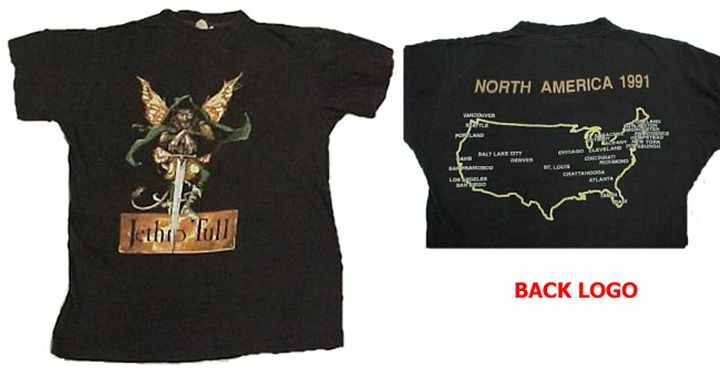 1991 U.S.A. 1991 TOUR Broadsword logo frontwith map on back. 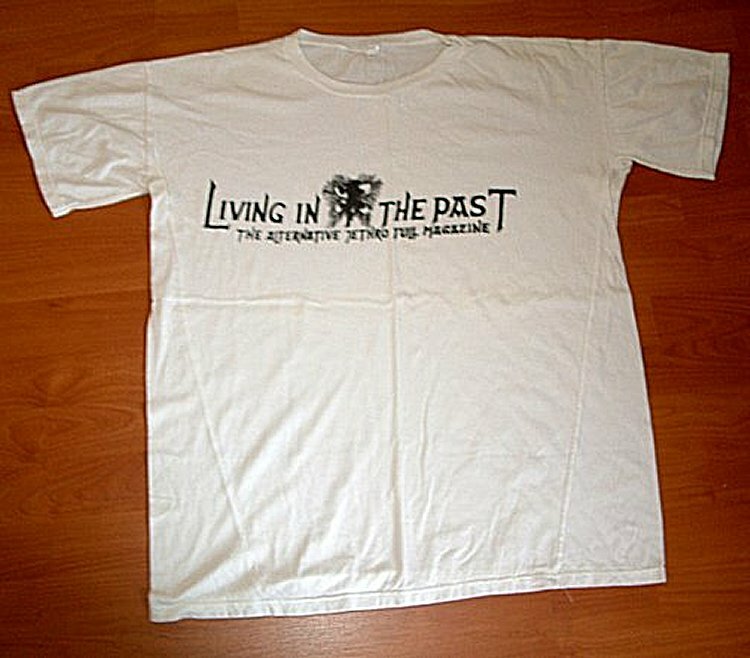 1991 U.S.A. T Shirt from The U.S. Fan Magazine "Living In The Past". 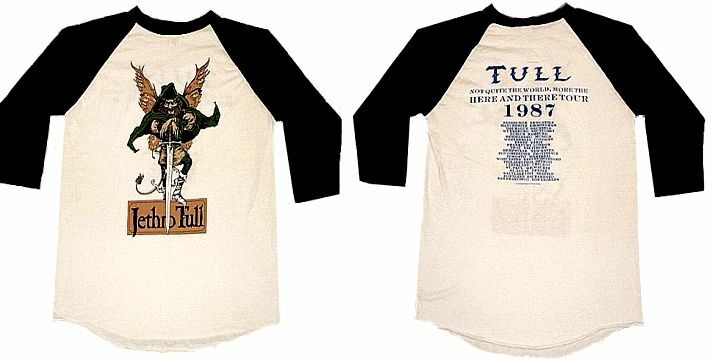 1991 U.S.A. CATFISH RISING TOUR With Beastie front logo. 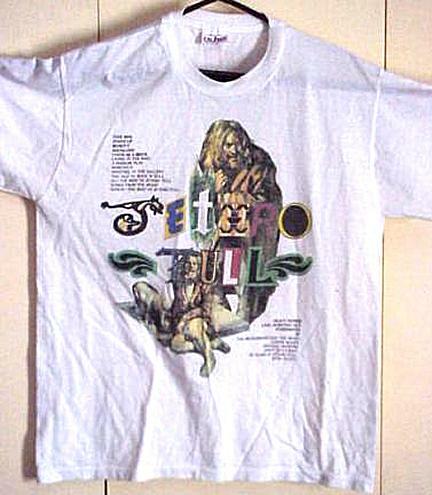 1992 U.K. Little Lite Music T shirt. 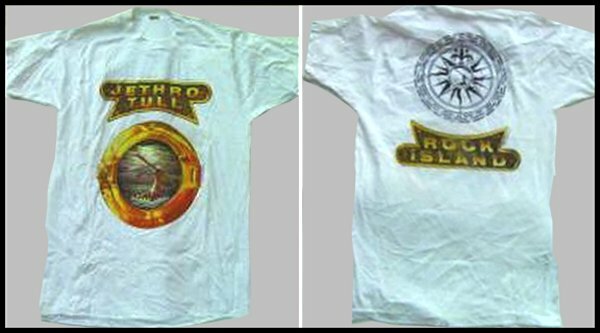 1992 U.S.A. Light & Dark Tour T shirt. 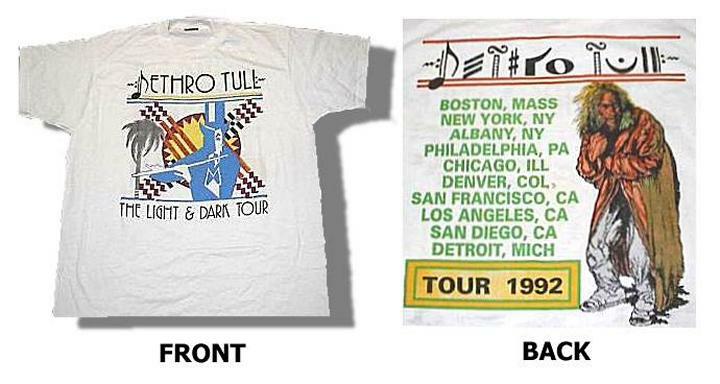 1992 U.S.A. Light & Dark Tour T shirt. (possibly Unofficial). 1993 EUROPE. 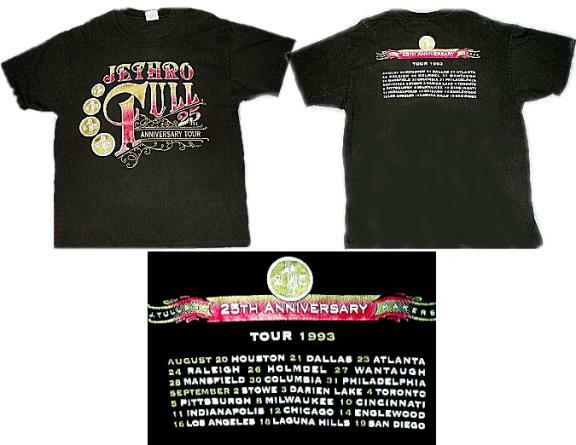 25th ANNIVERSARY TOUR T.SHIRT. (Euro dates May - June on back). 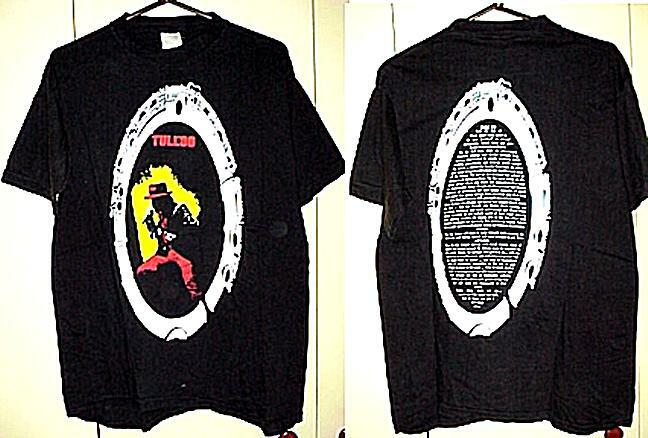 1993 U.S. "TREE LOGO" 25th ANNIVERSARY TOUR T.SHIRT. 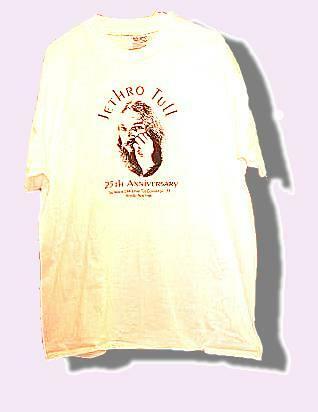 1993 25th ANNIVERSARY "THE BEST OF" T.SHIRT. 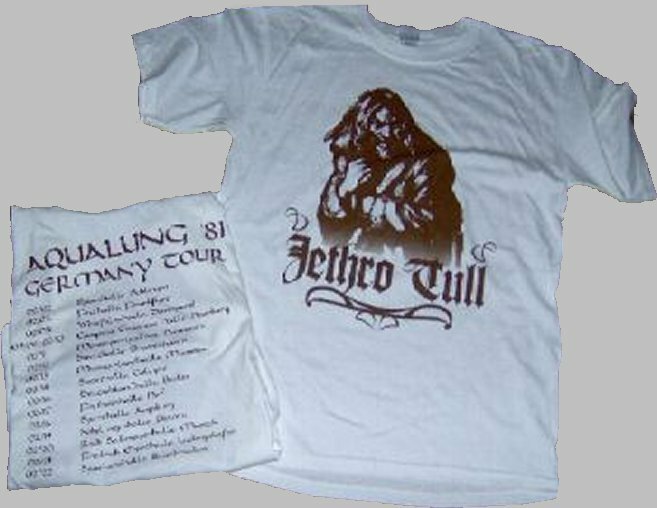 1993 U.S.A. JETHRO TULL CONVENTION T SHIRT. 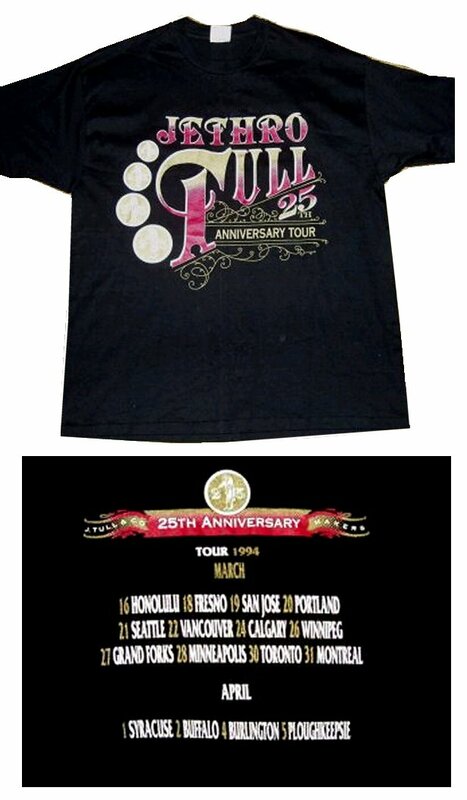 1993 U.S.A. 25th ANNIVERSARY TOUR SHIRT. (U.S. dates on back). 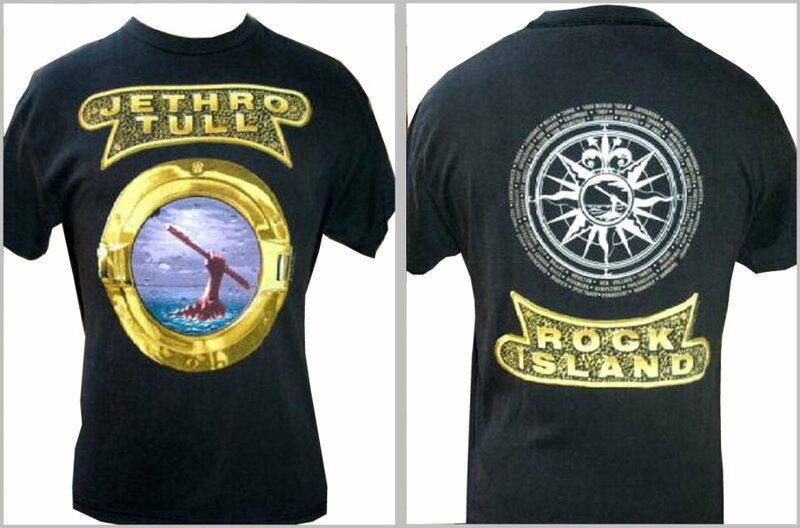 1993 U.S.A. 25th ANNIVERSARY TOUR SHIRT. (Possibly Unofficial). 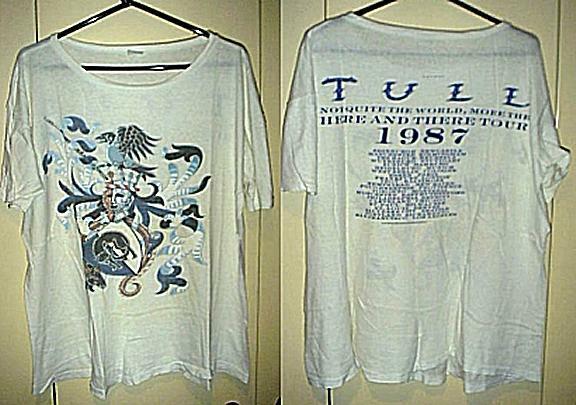 1993 SWISS FAN CLUB T SHIRT. 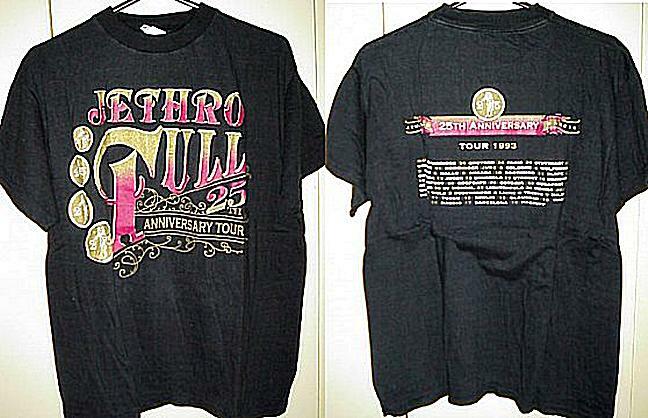 1994 U.S.A. 25th ANNIVERSARY TOUR SHIRT. (U.S. dates on back). 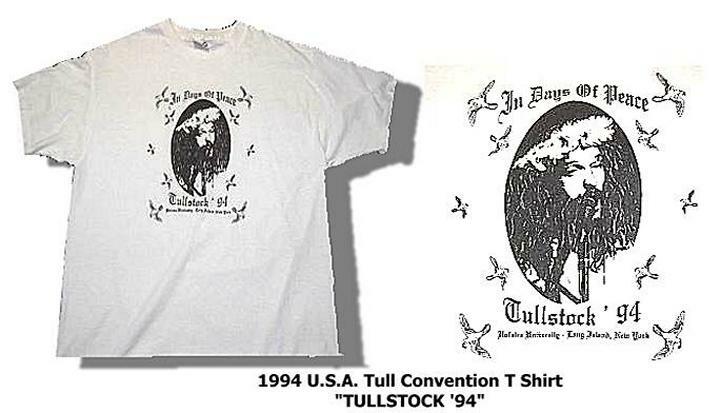 1994 U.S.A. "TULLSTOCK '94" 1994 U.S. Convention T Shirt.